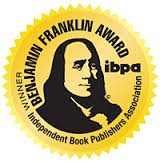 Congratulations to Donald Altman and The Mindfulness Toolbox on winning two gold medals at the 2015 IBPA Benjamin Franklin Awards for design and content in categories Psychology and Body, Mind and Spirit! 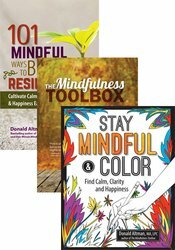 At last, an authoritative book filled with mindfulness tools that deliver an essential set of engaging, practical strategies along with key research and evidence-based information. The awareness boosting methods in this guidebook offer participants a means of reappraising and observing negative and anxious thoughts, habits, pain, and stress in fresh ways that produce new insight, positive change, and a sense of hope. Featuring over 40 easy to use, reproducible handouts and expertly crafted, guided scripts—such as working with the breath, overcoming depression with here and now pleasantness, calming the anxious mind with sense grounding, expanding a client’s strength narrative, the stress pause S-T-O-P technique, and meditations for peace, acceptance, and re-envisioning pain—this book is ideal for clinicians wanting to integrate mindfulness into their work. "Much like any healing prescription, The Mindfulness Toolbox skillfully reduces pain and fosters balance by getting to the root cause of the symptoms. If you want to expand your mindfulness repertoire, you won’t find a more complete and practical set of key techniques, handouts, and ideas. You’ll even be guided as to which tools fit together, such as tools for sensing the body, tools for meditation, and tools for getting into the present moment. With a large dose of awareness, clarity, precision, simplicity, and insight, Donald Altman has given us a potent and worthwhile medicine for inviting well-being, acceptance, and inner peace." ~ Paul Harrison, creator and producer of The Mindfulness Movie, and author of Where's My Zen? and The Ten Paradoxes: The Science of Where's My Zen? “Donald Altman’s newest book, The Mindfulness Toolbox, is an important work for how it will reduce emotional and physical suffering in the world. Highly practical and well-organized, the book tackles the key areas of stress, anxiety, depression, and pain. The evident care and attention given to the guided scripts and handouts will help build the therapeutic relationship with patients—all the while guiding them gently and persistently toward a more expansive awareness and a deepened sense of self-compassion and self-acceptance. I highly recommend it." "In an era of high popularity for anything labeled with the word "Mindfulness", Altman has written a user-friendly and practical book that is as fun to read as it is helpful. He provides great handouts and suggestions for how to describe mindfulness to clients so that they can gain peace of mind when feeling anxious and optimism in the face of depression. Highly recommended." "This is a must-have book for every therapist using mindfulness approaches with clients. From the 10 'Tips' thru the 40 'Tools', Donald Altman shares his considerable wisdom, along with the sense of respect for both the client -- and the therapist. At the same time, the material is presented in a light and very usable style, from the clear outlines to the many client handouts."